But I really, really love the fabric. It’s so … Lois Lenski, if that makes any sense. 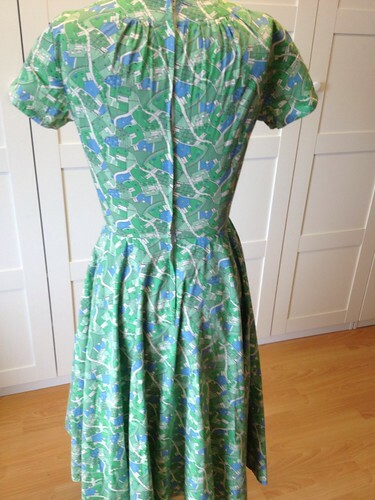 This is another dress I don’t wear very often but can’t seem to get rid of, mostly because I love the fabric so much. Why I think that at some point in the future I will magically find either the time or the ingenuity to change this dress into something else, I don’t know. Perhaps if I were the victim of a shrinking ray, and had to create an entirely new wardrobe of doll-sized clothes? (Because even if a shrinking ray made me Barbie-sized, it would not make me Barbie-proportioned …) Maybe when we have the Star Trek replicators and I can put a snippet of this fabric in one and intone “Dress, full skirt, hat” at it and have a new version in a snap? Both are more plausible than me sitting down and taking this one apart …. 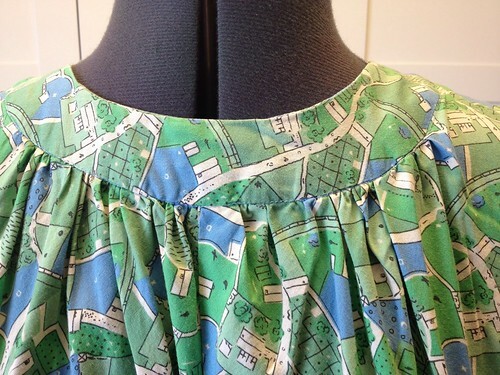 Love that dress and fabric! I wouldn’t want to take it apart, either! 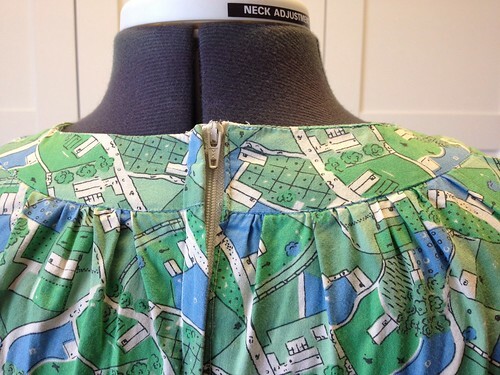 I have been known to make skirts out of dresses that don’t fit anymore, though, just to save the fabric. Dirndl skirts are great things. Where are your duros? I don’t recall seeing one on this list. 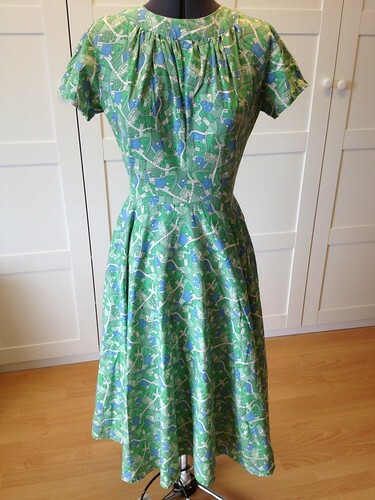 This dress looks genuinely vintage and I too would find it hard to part with. You must have a VERY big wardrobe. “The Little Train”? As a dress? Yes, please. I think this is great as-is, but if you haven’t worn it, can you just unstitch everything and remake as a skirt? Yes, I can see that the pattern looks like Lois Lenski illustrations! I love this dress! The little imperfections are but signs of process and love. A worthy #83. 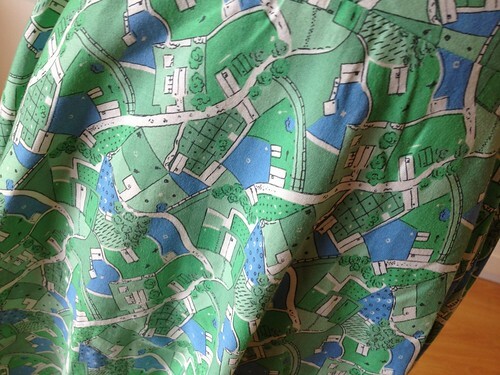 And I want this fabric so bad!! Wow, Lois Lenski…..haven’t thought of her in years, what wonderful books. Perhaps I will re-read them…. I did like the idea of ST replicators, and then we had to deal with SG replicators and it all got scarier.